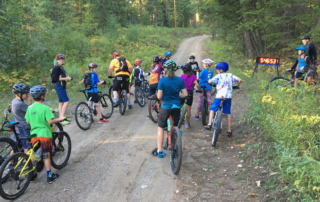 So far shuswap bike club has created 99 blog entries. 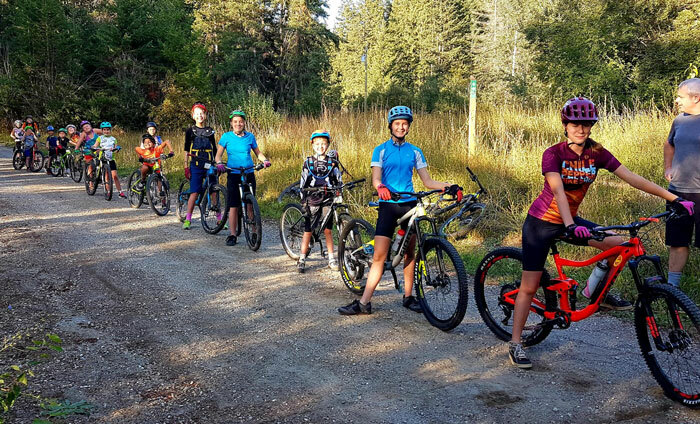 Tuesday was the final night of the Skookum Youth Rides for 2018 and the last race of the series, the prestigious DH! 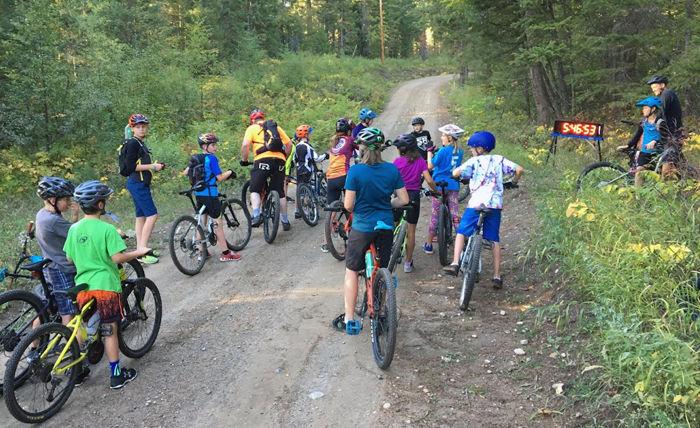 20 kids lined up at the top of Flying Nun and had a rip in all time conditions on a beautiful night. Ella Mills set the pace with a 3:31 that would sit pretty well on the strava board! Traeden, Marika, Aida, and Trent also posted sub 4 minute times for the older kids. They also showed great leadership in hanging around the finish line and cheering on the rest of the crew as the crossed. Keegan, Dreyson, Dane, Ryder, and Austin also posted some serious times, nice work fellas! For the B group, Max Calkins posted a 4:27 for the top time. Reese, Jayda, Peyton, and Karis were all close behind with great times and props to them for making all of the races! Group C our were our youngest shredders and Brantley took top spot there with a blistering 6:14. Ya Brantley! Brodie, Tye, Annabel and Nicola also tamed the nun so congrats to all of you. 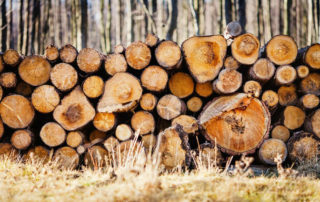 Full results are on webscorer.com. Another great night of mountain biking at Tuesday’s XC Race! Kids were divided into categories and did a mass start loop starting at the party pit. The C category hit the Troll Bridge to Blizzard Hill, then half-way down PPT and back up the Climb Trail. The B category did the same loop but went up to the top of Banjoo first. The A category went even farther and added KC Connector, a short road climb, and Paranoia Right to the loop. 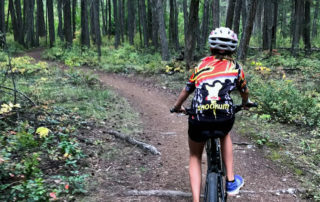 There were a few wrong turns and a couple small mechanicals, but all the racers demonstrated awesome effort and sportsmanship, helping others along the way. Great to see them all sprinting to the finish line! Congrats to the stage winners Ella in category A, Reese in category B, and Nicole for category C! 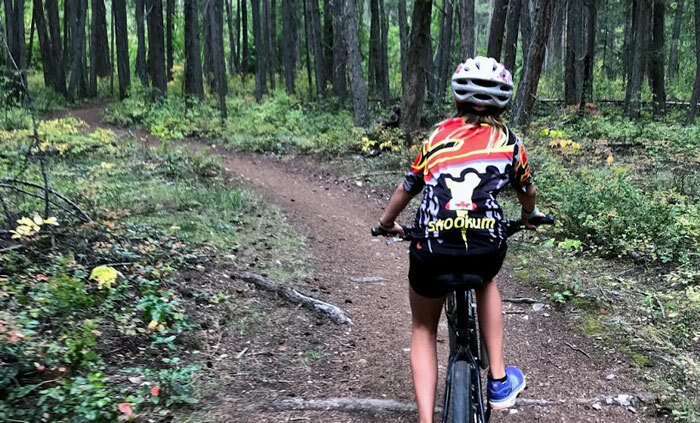 What a great first race for the Skookum Youth MTB Race Series. The racers flew up the climb trail at 15 second intervals to the party pit. Winners for this round were Ella in Category A, Reese in Category B, and Kai in Category C. Awesome effort and spirit from everyone, thank-you to those that made it out! Here are the full results. We will be tabulating an overall winner in each category at the end of the 4 races. 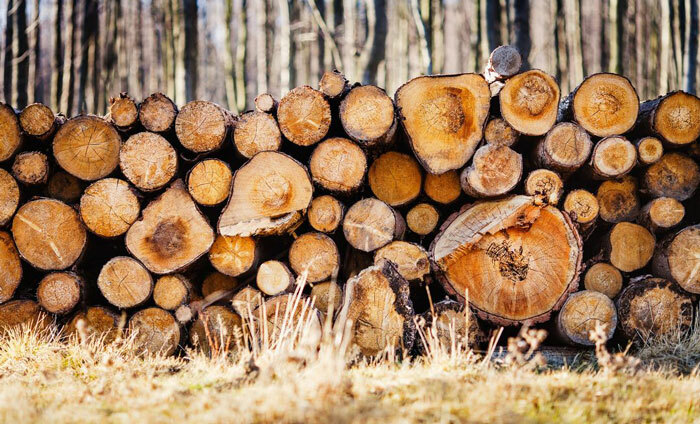 Thanks to Andreas Meerza for the sweet shot, and we will see everyone next Tuesday for the XC Race. If you missed the first one that’s totally fine! 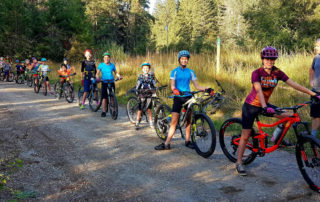 Skookum Youth Rides are getting back into high gear. This Tuesday, Sept 28th, will be the Youth Poker Ride. 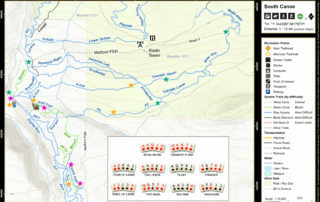 It is kind of like orienteering – kids are broken into groups and they use a map to find 5 cards hidden along the trails. The cards are used to make a poker hand at the end, prizes for top hands! 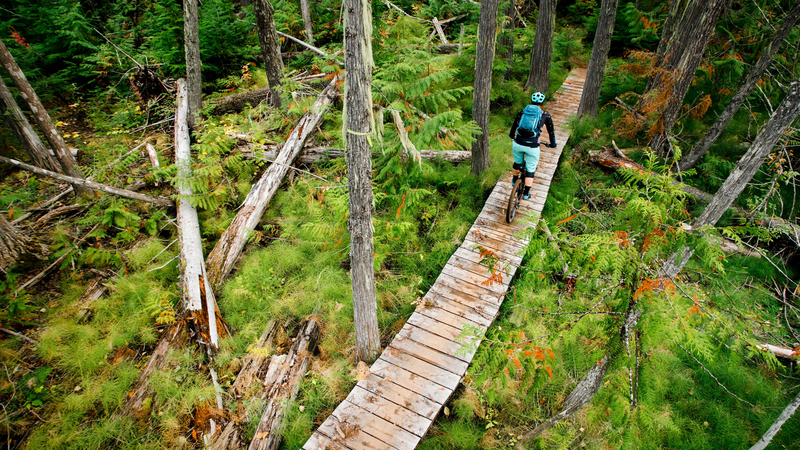 Also stay tuned for details on the Fall Youth Race Series, beginning September 4th. Exciting things happening at the Rubberhead this summer! 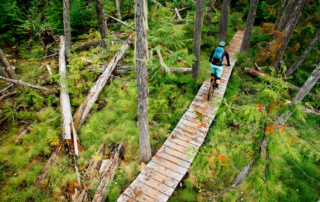 The Shuswap Cycling Club and our good friends at Rec Sites and Trails BC have finalized a partnership agreement. 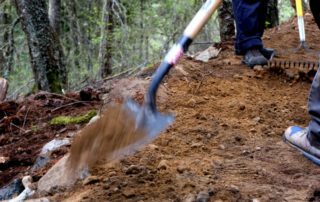 This means good things for our trails! 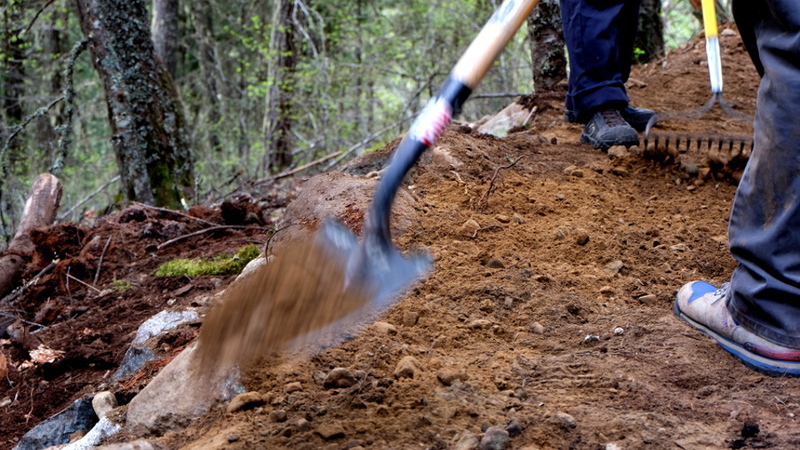 The SCC will be able to be more proactive about building and maintaining trails in Rubberhead. 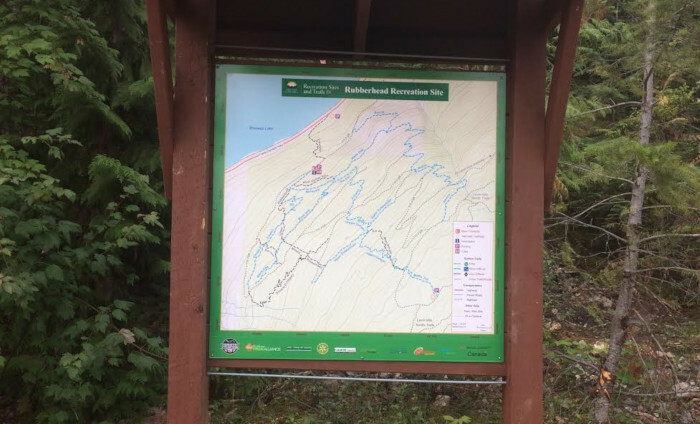 Stay tuned for updates on trail work, but in the meantime if you want to be involved, come out to the Every Other Monday Rubberhead Trail Nights. 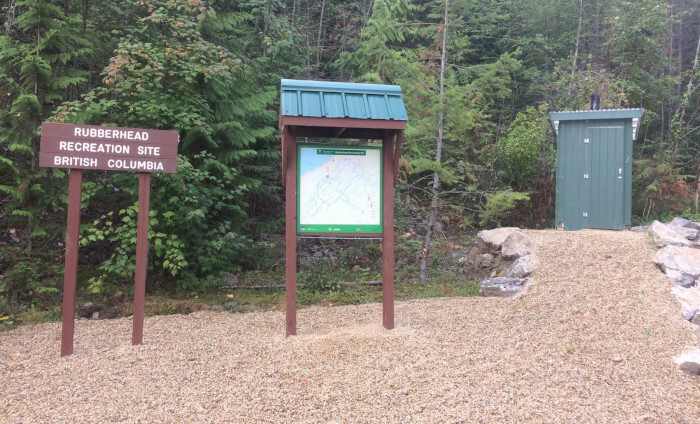 We have also been treated to a facelift of the main trailhead on the 110 FSR, including an upgraded parking area, sign, sweet map, and washroom. 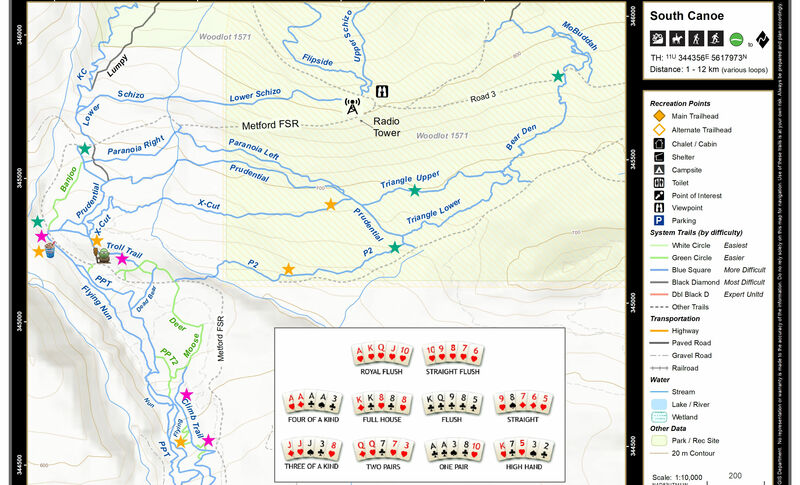 Looking forward to more great improvements on Rubberhead in the coming months and years! 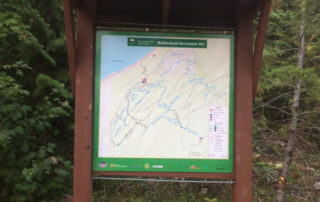 Starting June 27, Canoe Forest Products will be conducting harvesting operations at the top of the Sicamous Switch Backs on the Larch Hills Traverse from Mon – Fri from 4am to 5pm daily. 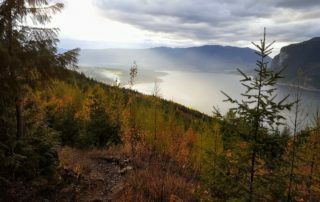 Canoe Forest Products is working with The Shuswap Trail Alliance to ensure that this closure is as short as possible and has minimal effect on the trail network. 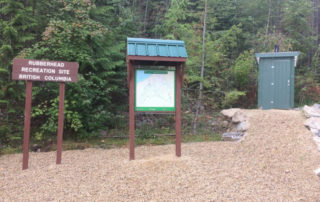 The Sicamous Switch Backs will be open out side of operational hours. 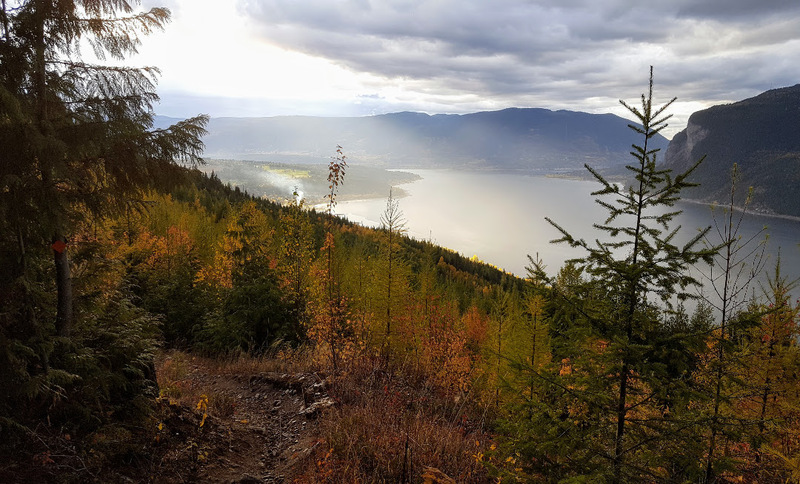 There will be no exit to Sicamous during operational hours.